There are hot-selling new cars, and then there are the cars that live a fairly long and lonely existence on the dealer lot. Some cars don’t find homes for 150 days or more. The list of 2018's slowest-selling cars from 24/7 Wall Street and Kelly Blue Book is mostly filled with what you would expect—along with a few wild cards. Your average well-selling new car usually spends about 30 to 40 days on a dealer lot. There’s a couple big takeaways from this. First off, things are not looking good for General Motors with seven cars out of the 26. No wonder it’s downsizing its lineup—many of these models are set to be discontinued or replaced, like the CTS, Lacrosse, and Impala. The ATS sedan was killed off last May. Fiat Chrysler didn’t fare much better with six cars in the list. This is not a good sign for the Fiat brand when the entire lineup of cars is on the slowest selling list. However, the Alfa Romeo Stelvio is a bit of a surprise, since luxury crossovers are selling extremely well right now. As for the Chrysler 200, that was killed off a while back, but apparently a handful of never sold models still lingered around and found new homes last year. 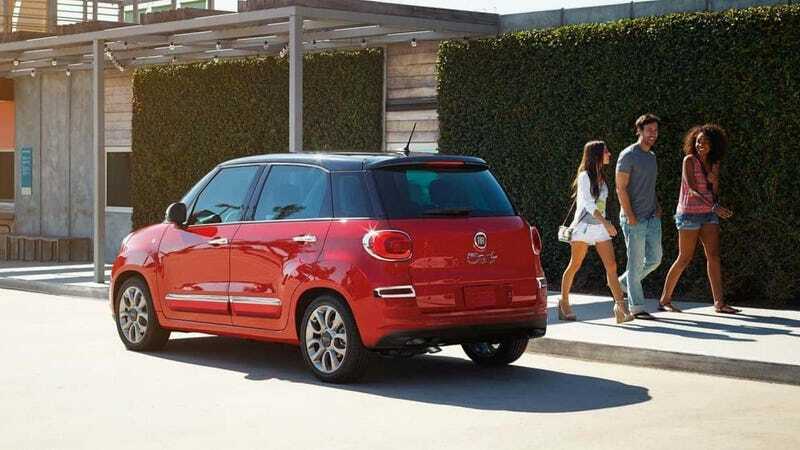 One of the overall trends is that American buyers just aren’t interested in smaller cars or sedans, which clearly hits Fiat the hardest. The Mini Cooper and the Toyota Yaris iA also struggled to find buyers. While theses rides are generally affordable, they lack the practically of something bigger like a Honda Civic but don’t offer significantly better fuel economy. Also somewhat surprising: the GMC Canyon. It’s quite possible small truck buyers will have their needs met just fine by its slightly cheaper Chevrolet Colorado twin instead. In a bit of bad news for wagon lovers, Volkswagens Golf Sportwagen ended up on the number 23 spot, though the list does not indicated if the higher-riding Alltrack is included in that or not. This doesn’t bode well for the rumor we heard a while back that VW may drop the Sportwagen body style when the 2020 Golf family of cars launches in America. In the number one spot is the Mitsubishi Lancer, another discontinued small sedan that managed to sell around 3500 units in 2018. Lancer sales are so pathetic that Mitsubishi sold negative three units last month. Anyway, now might be a good time to try and score a deal on many of these cars. They aren’t all bad—though some of them definitely are—they just need good homes.